One of my very favorite Tulip products is the fashion glitter transfer sheets. I think it's so cool that you can easily put glitter anywhere without making a big mess. 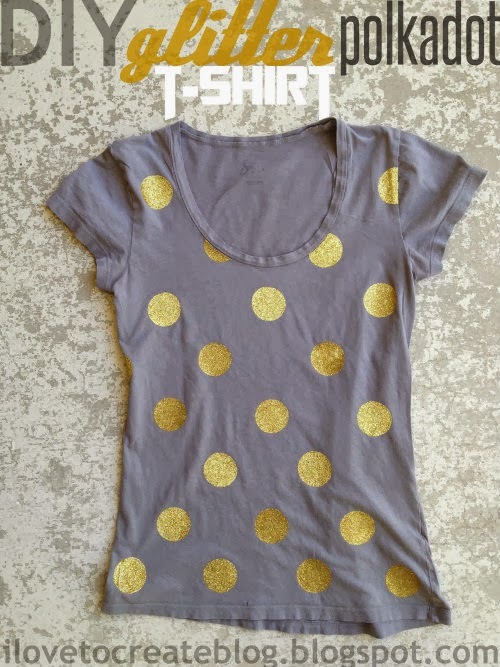 The transfer sheets made this glitter polkadot shirt really easy to make. I made sure I had enough dots to cover the shirt. I placed them where I wanted them, working from the bottom of the shirt to the top. To make them adhere to the shirt, you simple cover them with a thin cloth. (I use a pillow case.) 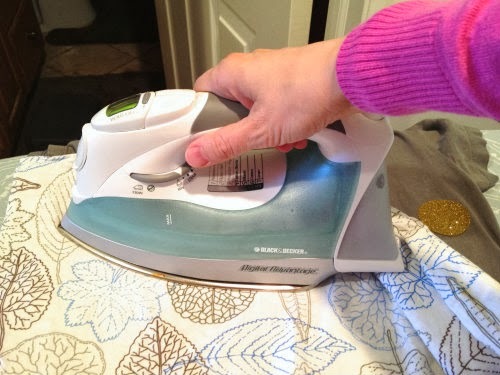 Then you iron them on. It's so simple. 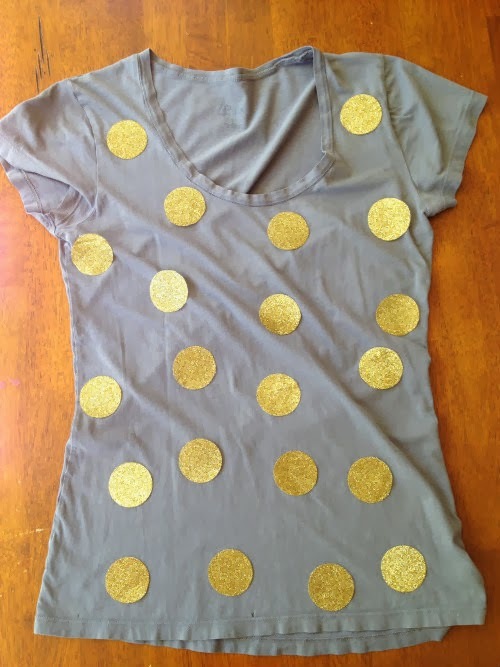 I also cut some of the polkadots to fit by the neckline, so the pattern was consistent. 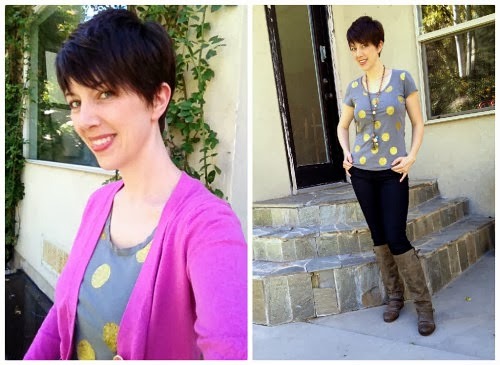 The shirt can be worn alone, or it makes a cute, neutral layer for warmer weather. It would be fun to try out different shapes if you have different paper punches. I could see stars and it would be fun to add them to leggings too. like this a lot. 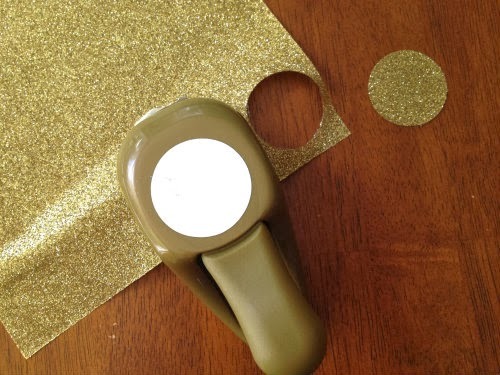 keeps the glitter mess gone. I am not sure what to look for when I shop for the glitter sheets. I just found this on Pinterest. I have actually wanted to do something like this for a while! 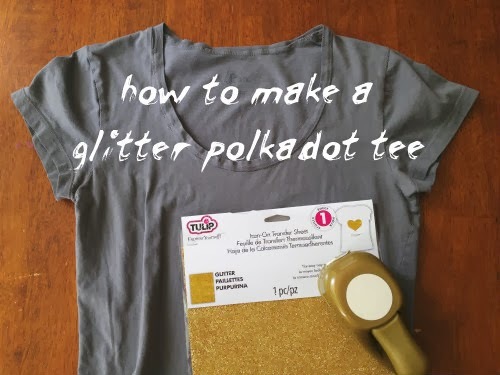 Where did you find the glitter transfer sheets? This looks so great!! I wonder if I could pull this off.... !